Superdry men’s Gym Tech stretch block zip hoodie. Searching for your perfect gym partner? Then look no further than this stylish Gym Tech stretch block zip hoodie. This zip hoodie is the perfect gym companion to keep you warm whilst making your way to and from your workout. 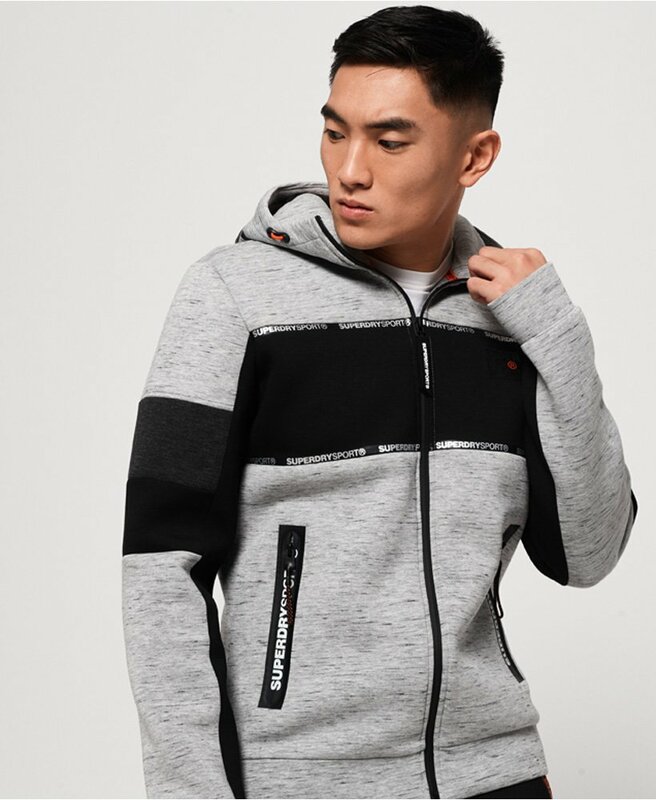 It features a single zip fastening, a textured Superdry logo on the hood, Superdry branded taping throughout and two zip pockets to keep your belongings safe. This luxurious hoodie also features thumbholes in the cuffs, a Superdry logo on the chest and a Superdry badge on the arm. Channel athleisure vibes by pairing this hoodie with your favourite joggers and trainers to keep on trend this season.